Isaiah 60:1-3 (NIV) says, “Arise, shine; for your light has come, and the glory of the LORD has risen upon you. “For behold, darkness will cover the earth and deep darkness the peoples; but the LORD will rise upon you and His glory will appear upon you. “Nations will come to your light, and kings to the brightness of your rising. Did you know that you are supposed to change the environment around you? It is so important that we understand this, especially in the day we live in. We aren’t supposed to let what is going on around us dictate how we behave or think, but just the opposite. Let’s take a look at some familiar situations in the bible. We can go as far back as Genesis to find some good examples. Jacob had wanted to leave Laban and go back to the home of his father. In Genesis 30:27 (KJV) we see Laban’s answer, “And Laban said unto him, I pray thee, if I have found favour in thine eyes, tarry: for I have learned by experience that the LORD hath blessed me for thy sake.” This man who had tricked Jacob into marrying both of his daughters, had changed his wages over and over, and had tried to cheat him, was blessed just because Jacob was there. That is pretty exciting. So to make sure we understand this wasn’t a one-time-deal, let’s dig a little deeper. There are plenty of other instances. Check out Daniel, Ruth, Esther, David and Paul. Wherever they went people were blessed. What about you and me? The bible calls us “the salt of the earth. “Matthew 15:13 (ESV) “You are the salt of the earth, but if salt has lost its taste, how shall its saltiness be restored? 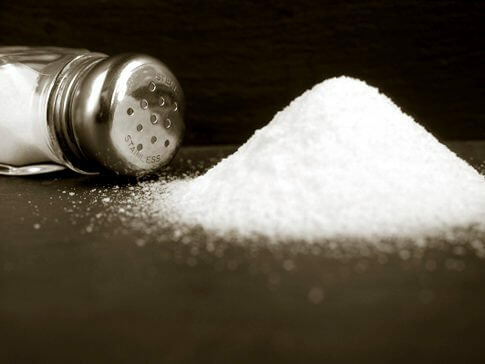 It is no longer good for anything except to be thrown out and trampled under people’s feet.” What does salt do? It seasons, it preserves and it can be used to help heal. As salt we should go into the world, our jobs, neighborhoods and even our families and make things better. On our jobs we should be setting the example of honest, hard work. Don’t worry about what the people around you are doing. Don’t complain about the boss. Work hard, represent Jesus and be salt. What better job security can you get than the business prosper “for your sake?” Is your family crazy and dysfunctional? Be salt. Is your community full of sin and crime? Be salt. The world may be full of darkness and it keeps getting darker, but God’s people will shine! Why? So they can come to His light. Jesus was the Light when He walked this earth. Now He tells us we are. So that means we have to shine. We reflect Him to this lost and dying world. There is coming a time where there will be hardship and need. Who will help the people, who will God send?